At the 2018 AGB AGM the Berkshire Archery Website was awarded the Region and County Website Trophy. 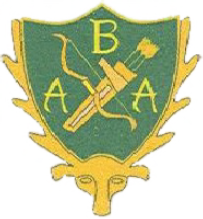 First edition of the Berkshire Archery Junior Newsletter is available on the Documents Page. At the last committee meeting, a proposal for Top Club award was made for 2018. The purpose is to incentivize volunteering and inclusion into BAA activities. Please find attached the criteria for this year. We will be counting the attendance level at the BAA meetings held this year. We will tot up for the AGM and March meetings already held. Next meetings will be 7th June, 6th September, 6th December. Later in the year, the Indoor Champs at Sandhurst on 17 and 18th November. Other extra-ordinary voluntary activity for the county, inclusion on Sub-committees (if applicable) will also be considered. Berkshire Archery Association now has a timing system available to hire to both Berkshire and non Berkshire affiliated clubs, with better rates to Berkshire clubs. Congratulations to Graham Potts, our Berkshire Archery Association Gentleman Vice President, at the Autumn General Meeting of the Royal Toxophilite Society on Saturday 27th October, Graham was elected President. He takes over from Louanne Tilly who was a member of West Windsor and still holds various County Lady Recurve records from the 1980s. The results of the 2018 County Indoor Championship can be found on the Tournaments page. There are also some photographs from the shoot which have been kindly supplied by Richard Stainthorpe of Crowthorne Archers. Officers and officials of BAA Template Nomination form. The annual BAA award for "Services to Archery" , the Mary Dolan Memorial Trophy, was presented to Archie Clifton of West Windsor Archers by Celia Stocker the BAA Secretary, at the indoor range at Eton Wick. Archie had been nominated by both West Windsor Archers and Crowthorne for his long service and support, and was declared the 2019 recipient at the recent BAA AGM. The surprise caused Archie to be unusually speechless. Congratulations. This year we want to encourage the participation of everyone in the county. We offer the shoot for anyone to shoot the distances/rounds they want whether Novices, Juniors or "Masters" to enjoy a full or half day of shooting. Why not try one distance in the morning, and another in the afternoon. Or join as one of our event volunteers. For the competitive archers, the championship will be a AGB Record Status Double WA70 (Recurve, Barebow an Longbow) Double WA50 (Compounds) and the equivalent junior WAs. The Berkshire County Sports Club (BCSC), Sonning Lane, Sonning, Reading, West Berkshire, RG4 6ST. We cannot guarantee the weather, but let us make this a positive event for Berkshire! Congratulations to Paul Comina of Harlequin Bowmen for being awarded the title of Coach of the year 2018. Here is a photo of him receiving his award. At the end of March we hosted the British University Team Championships and if it is of interest you can find some photos from the event HERE.